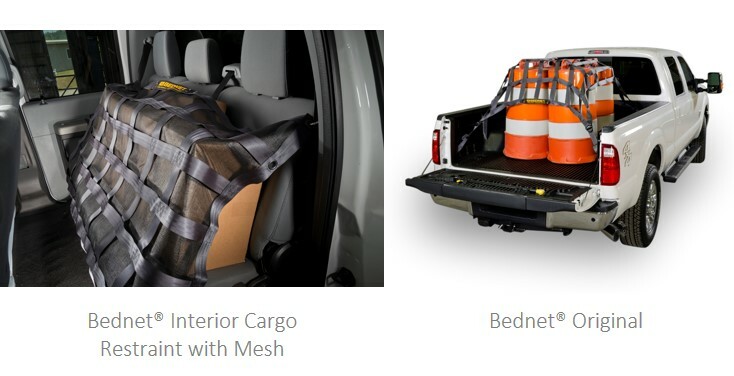 When transporting any cargo in light duty trucks, proper load securement should be fundamental. However, according to a study by the AAA Foundation for Traffic Safety, more than 200,000 crashes involved debris on U.S. roadways during the past four years, resulting in 39,000 injuries and more than 500 deaths between 2011 and 2014. Lee McCord, Vice President of Product Development and Sales at Adrian’s Safety Solutions, is a leading expert on load securement and safety management, and offers his expertise on how drivers can secure their loads when transporting goods, ultimately making our roadways safer for all. According to McCord, it’s everyone’s responsibility to ensure proper load hygiene in both work and pick-up trucks. “Management must foster the proper culture, provide the appropriate tools and training, and lead by example,” said McCord. Operators must act upon clear expectations and guidelines. Moreover, safe cargo handling minimizes company liability exposure and helps project a safety-conscious corporate image, explains McCord. McCord says the danger of losing an auger bit off the back of a truck is easy to imagine, but also look inside the cab for secondary impacts of unsecured items that pose a genuine danger to passengers during an accident. Anything not bolted down meets the definition of cargo. Truck operators need to look both inside and outside of the vehicle. McCord explains that for those considering working with a company, they should take truck safety into consideration. “The load hygiene will tell you all you need to know about that company’s attention to detail and commitment to safety,” said McCord. McCord adds that the load securement industry is large and diverse, leading to a need for varying solutions. According to McCord, all Adrian’s products are affordably priced and will last for years to come as the company’s tagline is also its design philosophy: Safety Made Simple. About the Author: Lee McCord is the Vice President of Product Development and Sales for Adrian’s Safety Solutions, which manufactures safe, easy-to-use solutions for fleets to address cargo restraint issues as well as pallet rack safety equipment for warehouses. McCord’s dedication to organizational and worker safety has enabled Adrian’s to continually develop new designs that allow for a safer workplace. For more information, please contact McCord at lee@adrianssafetysolutions.com.